There is no question that Fall is my favorite time of year. The weather, the holiday's and the transition from drinking white wine over the summer to drinking red wine during the cooler months. 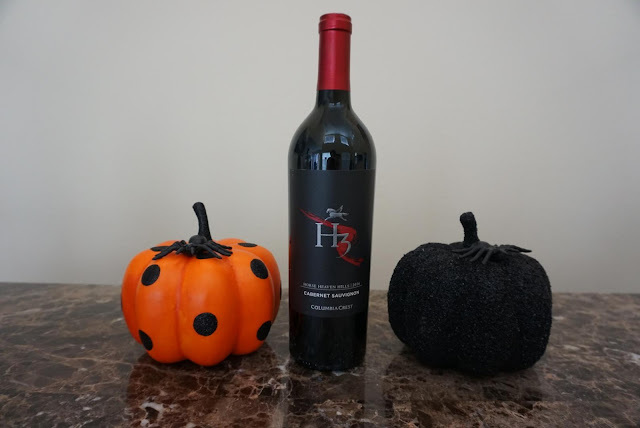 Today, I am sharing Columbia Crest Winery’s fall release wines with you which includes the 2014 Limited Release Gold Red Wine Blend! This is a fabulous red for it's price point ($12). Each year, the Columbia Crest Winemakers put aside a few barrels of wine which represent the Gold standard. Only 10,000 cases are produced of this blend which includes Cabernet Franc, Syrah and Malbec. This is what I will be drinking on Halloween night while passing out candy to the little monsters! Along with the Limited Release Gold Red Blend, Columbia Crest has a few additional new releases from Grand Estates and H3. These are available nationwide and also have a fantastic price point.